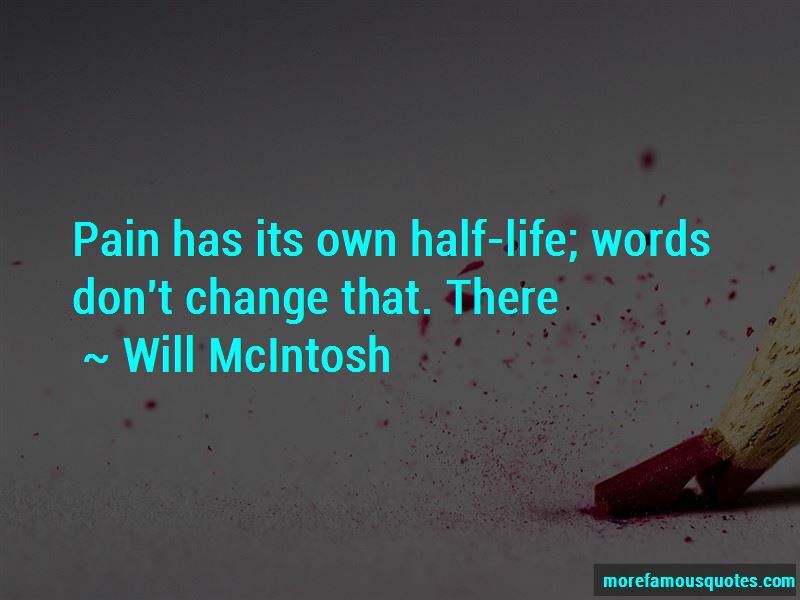 Enjoy the top 23 famous quotes, sayings and quotations by Will McIntosh. Humans draw a hard line between thinking something and saying it aloud. We sat in silence, staring out into the street, listening to the creak of the porch swing, the crickets, and the occasional gunshot. This is the future," Lycan said. "Connecting people to each other directly. “Right leg gone? Her right leg? She couldn't see anything except the man hanging over and a gold-coloured ceiling, high, high above. "This is a hospital?" she asked. “What?" The dread in her tone told Rob she knew what. "How much longer?" She laughed with a panicked urgency. "I just tried to nod. I can't feel my body, but I keep reaching for it, you know?" Rob nodded, feeling guilty he was able to. "How about this? I'll just tell you when I'm nodding, or shaking my head, or punching you." "Oh, no," Rob laughed, "are you planning on punching me often?" Rob couldn't help glancing at the timer, though he knew it would only make Winter more aware of what was about to happen. Seven seconds. "I keep expecting this to get easier, taht it will start to feel as if I'm going to sleep. But it doesn't. Maybe it's not possible to get used to dying." 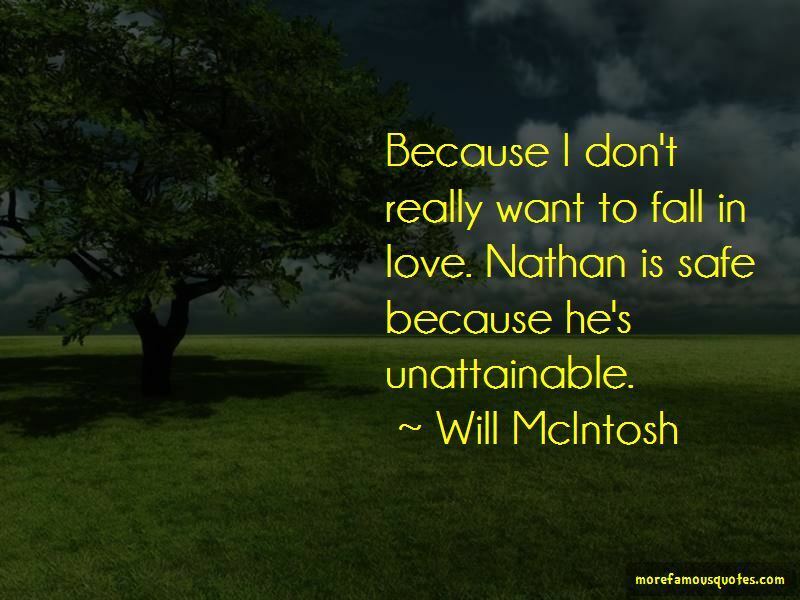 Want to see more pictures of Will McIntosh quotes? 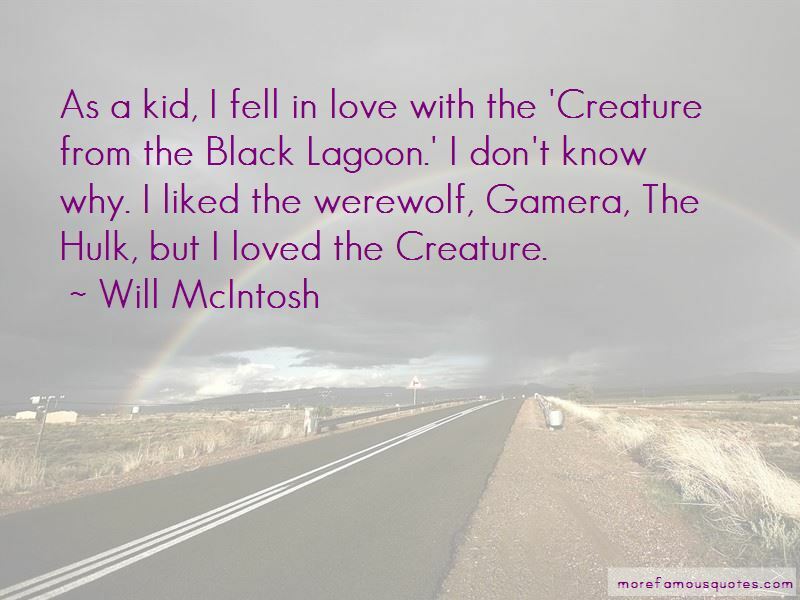 Click on image of Will McIntosh quotes to view full size.